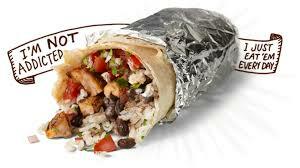 I like Chipotle, and by like, I mean I really really like – so much so that I’m thinking of dedicating to them a remix of J. Cole’s ‘Can’t Get Enough’. It’s that serious, but I’m working on it. Anywho, I’m in line the other day after submitting my usual order for a chicken burrito bowl, when the cashier gives me a compliment on my haircut. I’ve been rocking a near baldy for about 4 years now, and decided to do it on a whim just to see how it would look. Needless to say, I ended up loving it, and after trying different short hair cut variations (including the infamous mohawk – loved that too! ), I’m now experimenting with what I like to call the “fuzzy top”. 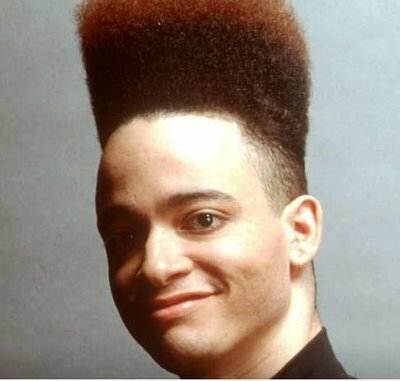 The “fuzzy top” is my modified version of the high top fade, which seems to be making a comeback. I get some pretty interesting feedback about my hairstyle choices, but for the most part they’re positive. This Chipotle cashier was no exception, as she commented that she “loved my hair!” She caught me a little off guard as I was mentally already caught in the bliss of enjoying my chicken burrito bowl, but her comment brought me back to reality as I graciously thanked her. But her compliment didn’t end there, oh no. “It looks good on you, you have such a nice small head!” I automatically thanked her again for her “compliment”, and it was only later – after I ate my chicken burrito bowl of course, that I was able to process what she’d said. Telling someone that they have a small head isn’t really a compliment. I understood what she meant, as it wasn’t the first time that I’ve been complimented on my less-than-gargatuan head size, but everytime I hear my head referred to as “small”, I can’t help but have a visual of the pawn shop owner from the ‘Men in Black’. You know, the one whose head regrows after being shot off by Agents J or K? Yeah, his head isn’t exactly one that I aspire to emulate. Now don’t get me wrong, I do appreciate the cashier’s compliment (along with the fact that she works at the greatest place on Earth! ), but I would place the small head compliment in the same category as telling someone they look sick. While said comment is well intentioned, it can also carry a negative connotation that suggests that the person does not look their best . Hopefully said person is sick, because if not, then they have just been dissed. Just saying.